Inflatable Boat Air Floors/Decks OEM There are 32 products. Achilles Air Deck Floor FQL077L For LSI 230 & LSI 77 All Model Achilles original equipment drop stitch air floor. This high pressure air deck is made out of CSM/ Hypalon material. Achilles Air Deck Floor FQL260E For LSI 88 & LSI 260 All Model Achilles original equipment drop stitch air floor. This high pressure air deck is made out of CSM/ Hypalon material. Achilles Air Deck Floor FQL290E For LSI 96, LSI 290 & LSI290E All Model Achilles original equipment drop stitch air floor. This high pressure air deck is made out of CSM/ Hypalon material. Achilles Air Deck Floor FQL015L For LSI 15 All Model Achilles original equipment drop stitch air floor. This high pressure air deck is made out of CSM/ Hypalon material. Achilles Air Deck Floor FQL104L For LSI 104 & LSI 310 All Model Achilles original equipment drop stitch air floor. This high pressure air deck is made out of CSM/ Hypalon material. Achilles Air Deck Floor FQL122L For LSI 112 & LSI 365 All Model Achilles original equipment drop stitch air floor. This high pressure air deck is made out of CSM/ Hypalon material. Achilles Air Deck Floor FQL230E For LSI 230E All Model Achilles original equipment drop stitch air floor. This high pressure air deck is made out of CSM/ Hypalon material. Achilles Air Deck Floor LEXI96INF For LEXI 96 All Model Achilles original equipment drop stitch air floor. This high pressure air deck is made out of CSM/ Hypalon material. Duras Air Deck Floor DZ86AIRDECK for All DX86 Models Original equipment high pressure air floor for all of the 8'6" models. It can be used to replace the hard sectional floorboard system that you shouldn't have bought to begin with. IE Dump the sectional system and upgrade to this airdeck type. Duras Air Deck Floor DZ96AIRDECK for All DX96 Models Original equipment high pressure air floor for all of the 9'6" models. It can be used to replace the hard sectional floorboard system that you shouldn't have bought to begin with. IE Dump the sectional system and upgrade to this airdeck type. Duras Air Deck Floor DZ104AIRDECK for All DX104 Models Original equipment high pressure air floor for all of the 10'4" models. It can be used to replace the hard sectional floorboard system that you shouldn't have bought to begin with. IE Dump the sectional system and upgrade to this airdeck type. Mercury Air Deck Floor 852870A02 for QS230 Sport 1996-2000 Model High pressure floor which you can use to replace the old wooden modular floor on ye old Quicksilver sport models. It reduces your carry weight and offers effortless quick assembly without the frustration and pain of the standard floorboards. Mercury Air Deck Floor 879787A05 for 240 Sport 2003 Model High pressure floor which you can use to replace the old wooden modular floor on ye old Quicksilver sport models. It reduces your carry weight and offers effortless quick assembly without the frustration and pain of the standard floorboards. Mercury Air Deck Floor 879787A05 for 240 Air Deck 2001-2003 Model High pressure floor which you can use to replace the old wooden modular floor on ye old Quicksilver sport models. It reduces your carry weight and offers effortless quick assembly without the frustration and pain of the standard floorboards. Mercury Air Deck Floor 896281A06 for 240 AIR DECK 2004-CURRENT Model High pressure floor which you can use to replace the old wooden modular floor on sport models. It reduces your carry weight and offers effortless quick assembly without the frustration and pain of the standard floorboards. Mercury Air Deck Floor 852871A02 for QS270 Sport 1996-2000 Model High pressure floor which you can use to replace the old wooden modular floor on ye old Quicksilver sport models. It reduces your carry weight and offers effortless quick assembly without the frustration and pain of the standard floorboards. Mercury Air Deck Floor 879788A05 for 270 Air Deck 2001-2003 Model High pressure floor which you can use to replace the old wooden modular floor on ye old Quicksilver sport models. It reduces your carry weight and offers effortless quick assembly without the frustration and pain of the standard floorboards. Mercury Air Deck Floor 896282A06 for 270 AIR DECK 2004-CURRENT Model High pressure floor which you can use to replace the old wooden modular floor on sport models. It reduces your carry weight and offers effortless quick assembly without the frustration and pain of the standard floorboards. Mercury Air Deck Floor 852872A04 for QS300 Sport 1996-2000 Model High pressure floor which you can use to replace the old wooden modular floor on ye old Quicksilver sport models. It reduces your carry weight and offers effortless quick assembly without the frustration and pain of the standard floorboards. Mercury Air Deck Floor879785A03 for QS310 Sport All Models High pressure floor which you can use to replace the old wooden modular floor on ye old Quicksilver sport models. It reduces your carry weight and offers effortless quick assembly without the frustration and pain of the standard floorboards. Mercury Air Deck Floor 879789A05 for 310 AIR DECK 2001-2003 Models High pressure floor which you can use to replace the old wooden modular floor on ye old Quicksilver sport models. It reduces your carry weight and offers effortless quick assembly without the frustration and pain of the standard floorboards. Mercury Air Deck Floor 879789A05 for 310 SPORT 2003 Models High pressure floor which you can use to replace the old wooden modular floor on ye old Quicksilver sport models. It reduces your carry weight and offers effortless quick assembly without the frustration and pain of the standard floorboards. Mercury Air Deck Floor 896283A06 for 310 AIR DECK 2004-CURRENT Model High pressure floor which you can use to replace the old wooden modular floor on sport models. It reduces your carry weight and offers effortless quick assembly without the frustration and pain of the standard floorboards. Mercury Air Deck Floor 852873A02 for QS330 Sport 1996-2000 Model High pressure floor which you can use to replace the old wooden modular floor on ye old Quicksilver sport models. It reduces your carry weight and offers effortless quick assembly without the frustration and pain of the standard floorboards. Mercury Air Deck Floor 879790A05 for 340 Sport 2003 Model High pressure floor which you can use to replace the old wooden modular floor on ye old Quicksilver sport models. It reduces your carry weight and offers effortless quick assembly without the frustration and pain of the standard floorboards. Mercury Air Deck Floor 879790A05 for 340 AIR DECK 2001-2003 Model High pressure floor which you can use to replace the old wooden modular floor on ye old Quicksilver sport models. It reduces your carry weight and offers effortless quick assembly without the frustration and pain of the standard floorboards. Mercury Air Deck Floor 896284A06 for 340 AIR DECK 2004-CURRENT Model High pressure floor which you can use to replace the old wooden modular floor on sport models. It reduces your carry weight and offers effortless quick assembly without the frustration and pain of the standard floorboards. Mercury Air Deck Floor 8M0050674 for 200 Dinghy All Models Mercury low pressure air deck for the 200 Dinghy model. 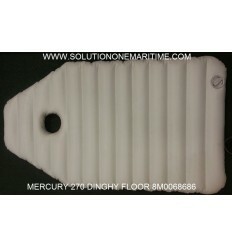 Mercury Air Deck Floor 8M0068686 for 270 Dinghy All Models Mercury low pressure air deck for the 270 Dinghy model. 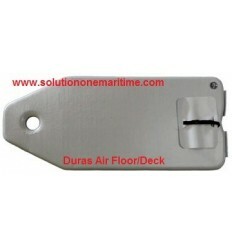 Mercury Air Deck Floor 8M0050675 for 240 Dinghy All Models Mercury low pressure air deck for the 240 Dinghy model. Achilles Air Deck Floor FQL330E For LSI 335 & LSI 330E All Model Achilles original equipment drop stitch air floor. This high pressure air deck is made out of CSM/ Hypalon material. Achilles Air Deck Floor FQL310E For LSI 104 LS1 310 & LSI 310E All Model Achilles original equipment drop stitch air floor. This high pressure air deck is made out of CSM/ Hypalon material.